We believe in creating beauty! Bodnar Built is about creating beautiful functional spaces through well managed construction. 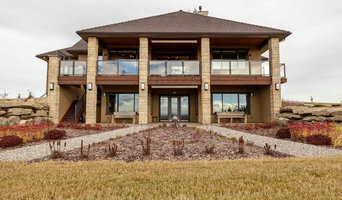 Bench Constructions, Inc. is Calgary's premier general contractor and custom remodeler. We approach each project individually and believe that your home is a reflection of yourself and your style. At Zen Living, we offer the biggest selection of European contemporary and traditional cabinets along with laminate, granite and quart countertops. Little or big we’ve done it. Bathrooms, basements, structural repair, additions, whole home renovations are among the projects we have tackled in the last few years alone. We specialize in building & remodeling healthy & environmentally friendly spaces. We offer custom building, general contract management & certified Sustainable Building Advisor consultation services. We, at Sole, believe we are only as good as our last project. We are providing YOU with a service, and you deserve a business that holds itself to a higher standard. At LifeStyle Renovations, our mission is to provide high quality renovation and construction solutions and services tailored to each client's unique desires with a commitment to excellence. Timber Wolff Designs Inc. is a government licensed general contracting company, established in Calgary with over 15 years of experience managing residential and light commercial construction projects. Kay2 Contracting is committed to ensuring customer satisfaction in every aspect of our work. It is our purpose to ensure a positive experience that enhances the quality of life for our customers. Re-Invent Renovations Inc. is the perfect solution for your space. We can take your imagined design and turn it into a reality that is structurally sound and professionally built to last forever. McDowell & Associates Inc. is one of the premiere boutique design firms in Calgary, specializing in single-family and low-density multi-family residential designs. We understand the importance of collaboration to achieve the result you deserve. We can assist you with your next renovation project or new build, big or small. Architect, Designer with experience in master planning, concept design and development of architectural drawings for residential, mixed-use, leisure, and office facilities projects. We are an Award Winning Calgary based Custom Home Design firm, providing a creative, inspired and collaborative approach to Residential Design. We partner with Private Home and Land Owners as well as Custom Home Builders and Developers - working closely with each of our clients, listening, guiding and bringing our passion and expertise to every project. Our final goal is to design homes that reflect each of our clients, and their unique needs. We are also available to consult with home owners, land owners and industry professionals (such as Builders, Interior Designers and Realtors ) regarding the development or renovation potential of a particular property We bring 30 + years of expertise in Design to each of our projects - be it for a Custom Home, Semi or Multi Family Project, Vacation Home or an Extensive Renovation. We are also happy to help with consultation on projects, and to offer insight as to development potential on particular building sites. We are a member of the CaGBC (The Canadian Green Building Council), Brent is also a LEED Associate and a Sustainable Building Advisor.